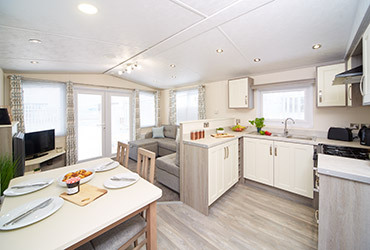 Updated for 2019 and with stunning front windows to maximise the natural light, the Clipper is a contemporary and stylish model. 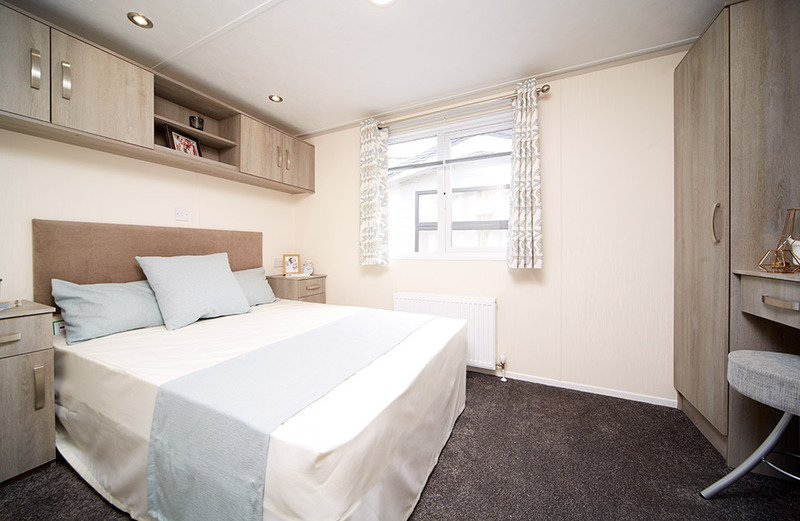 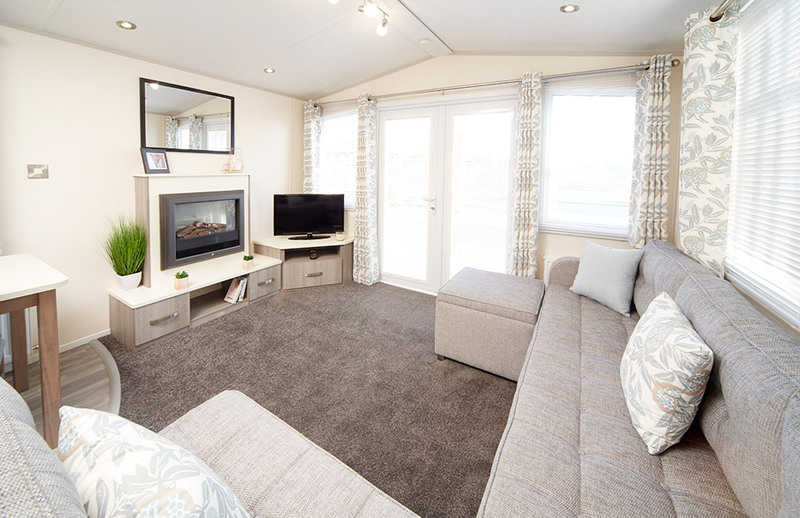 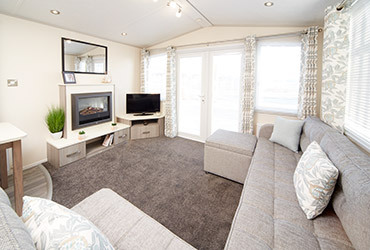 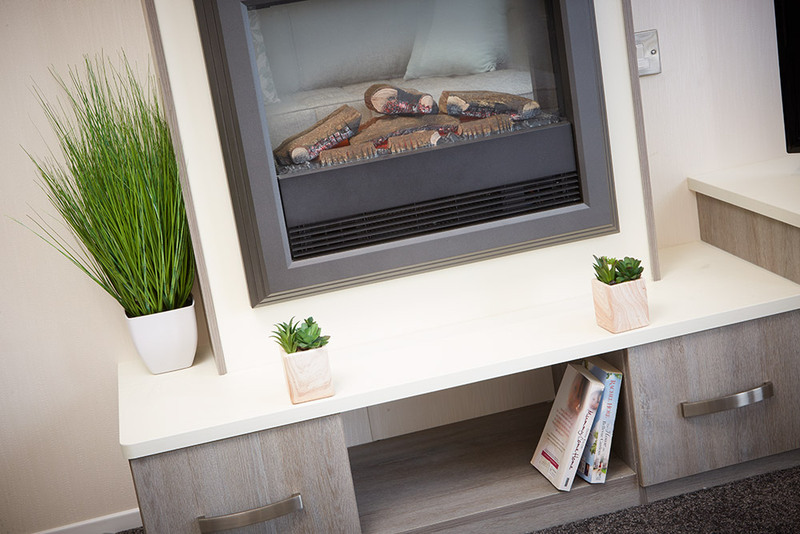 Updated for 2019 and with stunning front windows to maximise the natural light, the Clipper is a contemporary and stylish model with many luxury features as standard. 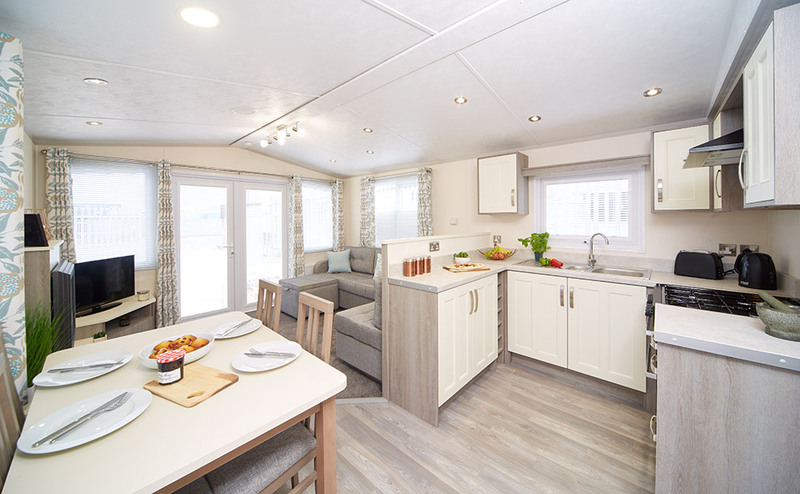 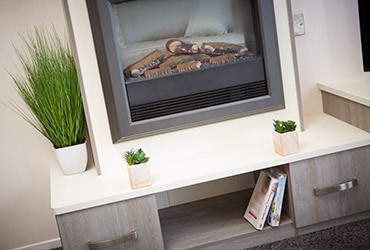 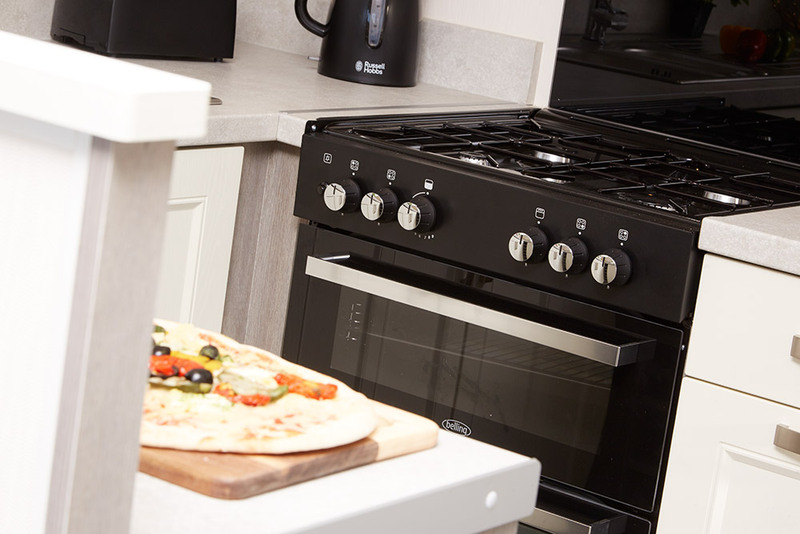 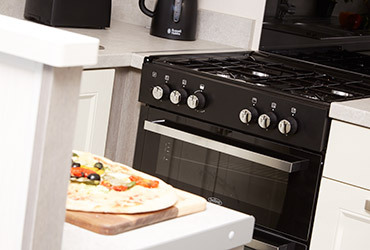 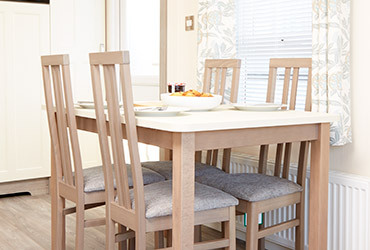 The well-designed lay-out separates the holiday home into living and dining areas, complemented by a stylish and well-planned kitchen, which includes a 600mm built-in cooker, integrated appliances, plenty of worktop space for preparing food, and a large 1.5 bowl S/S sink. 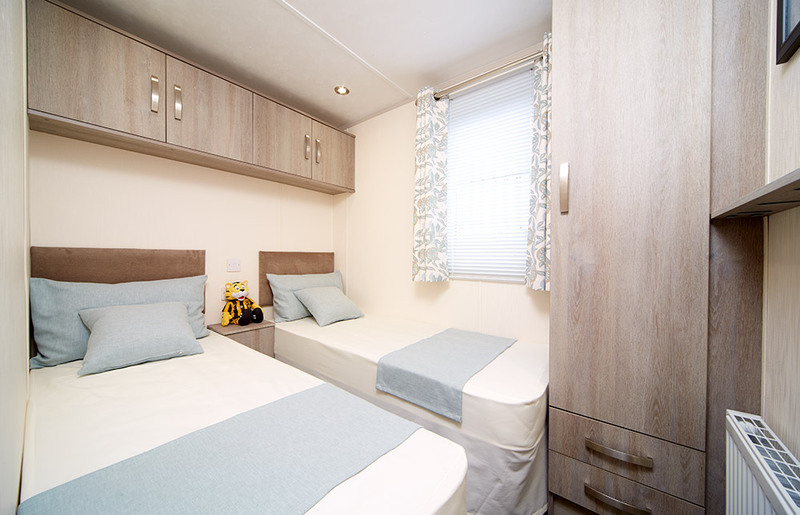 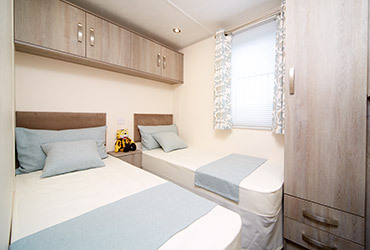 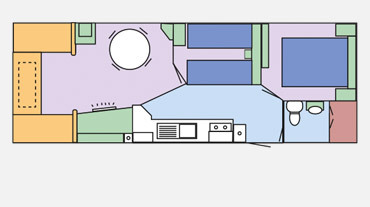 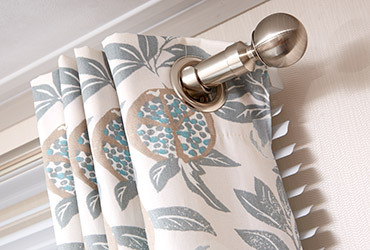 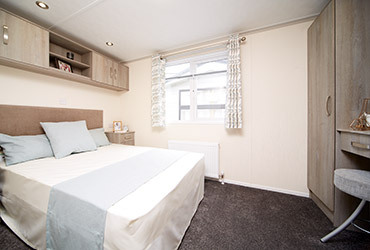 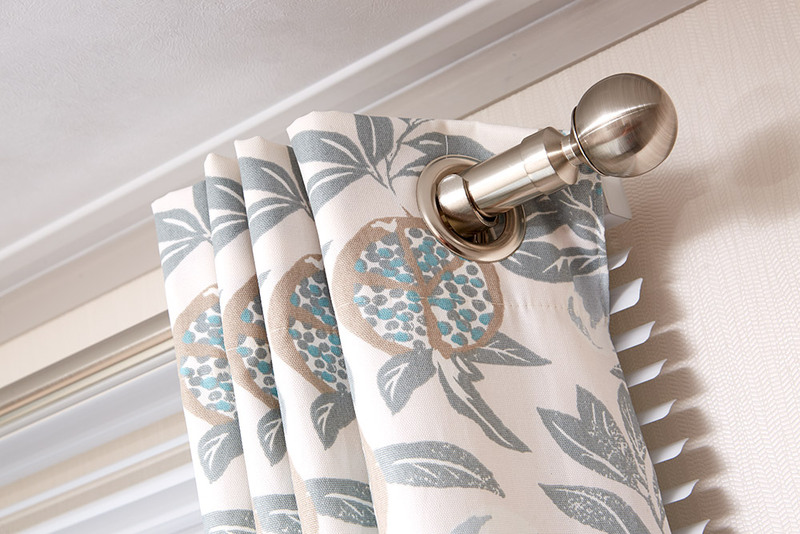 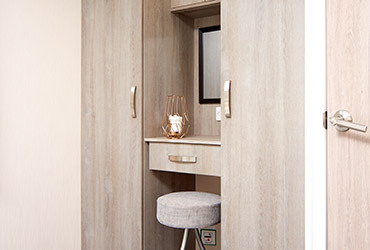 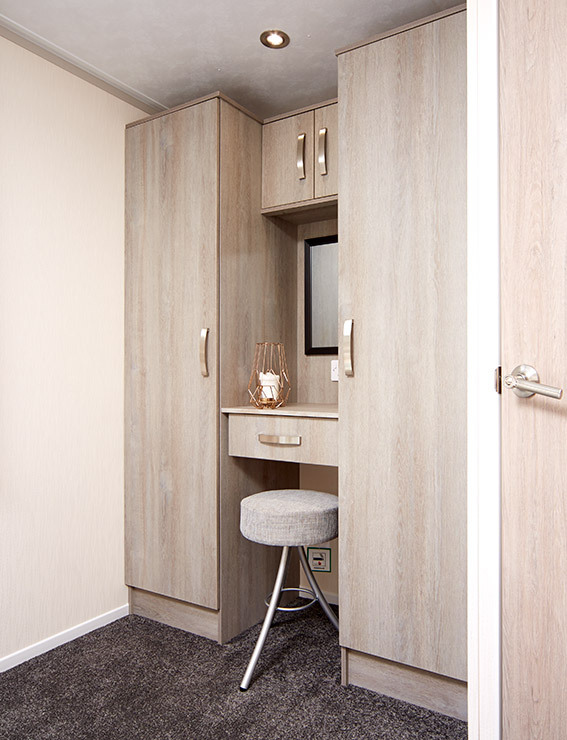 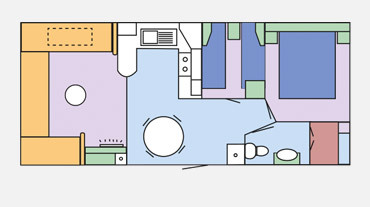 The Clipper’s bedrooms have a luxurious feel, with fitted cupboards, and quality fabric curtains, with co-ordinating carpets. 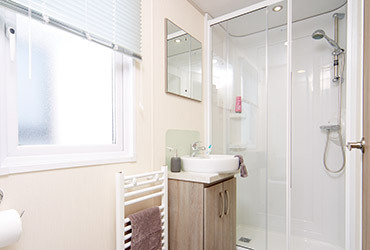 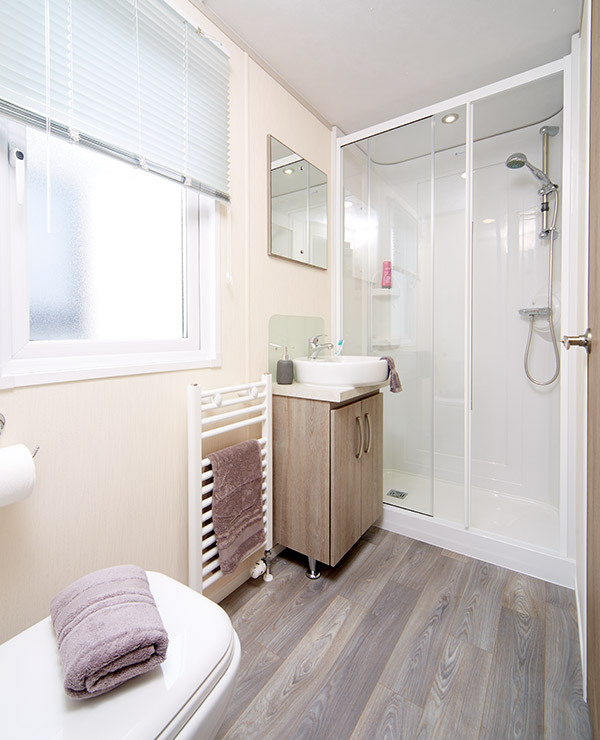 The bathroom has a contemporary white bowl sink, and thermostatic shower with glass screen door. 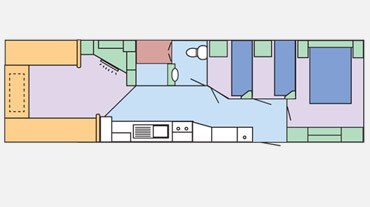 With a pull-out bed in the living room, there is always room for extra guests. 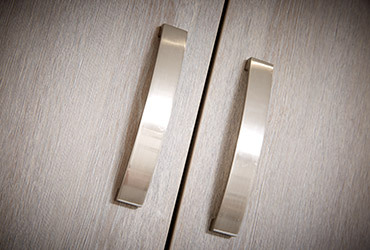 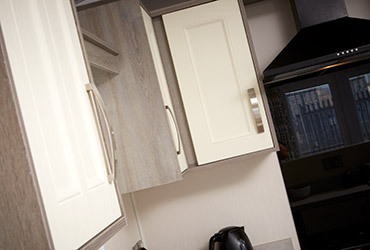 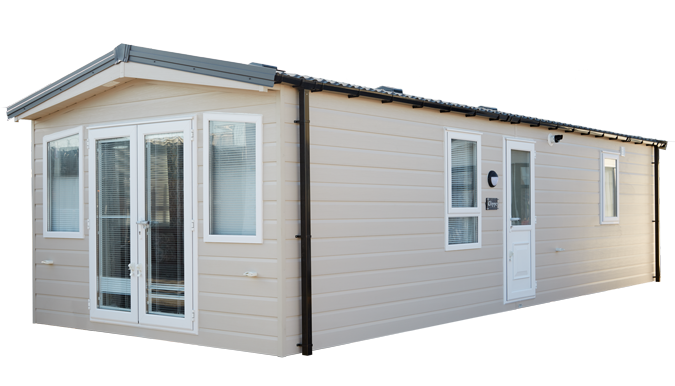 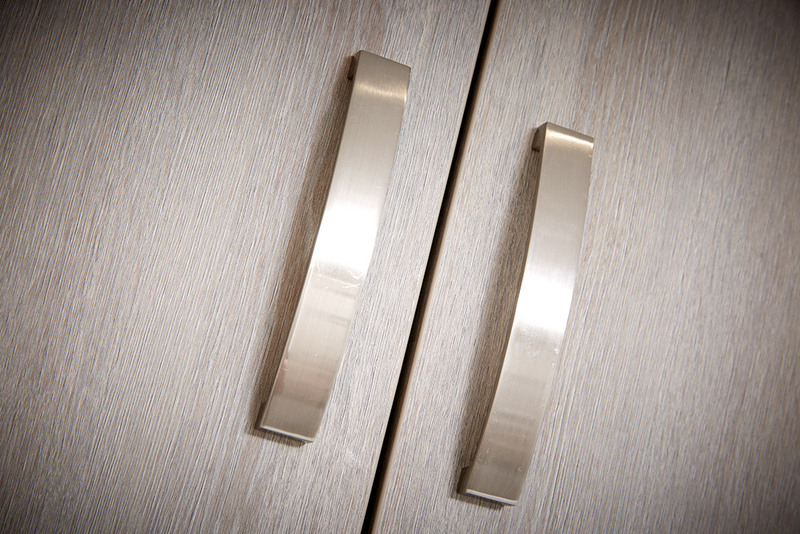 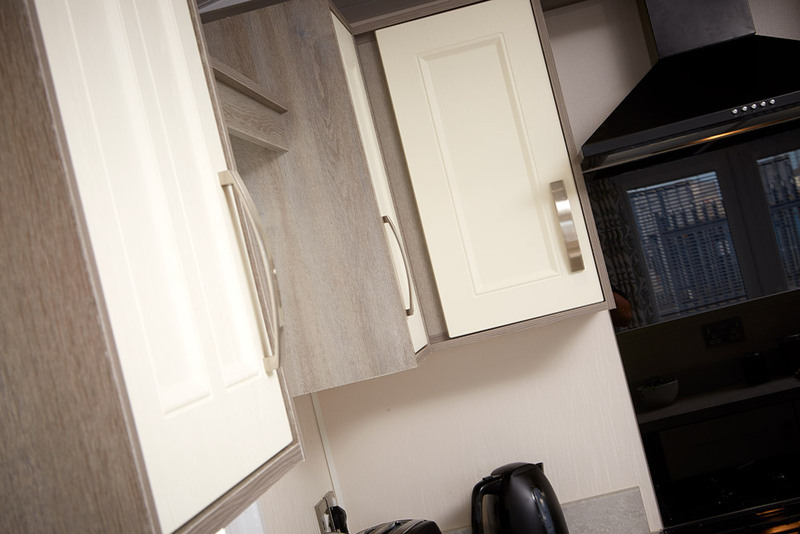 The Clipper comes as standard with PVC cladding and the finish shown is cream. 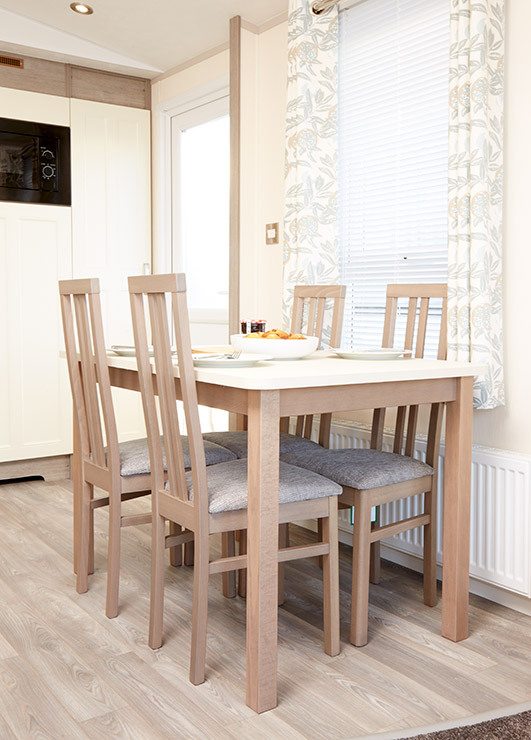 This is the perfect family holiday retreat which combines luxury features with a highly-competitive price. 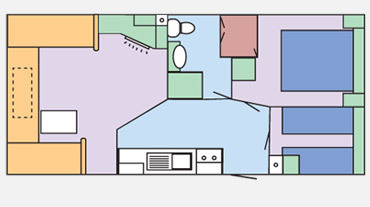 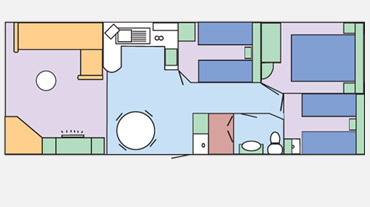 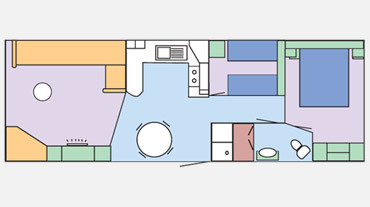 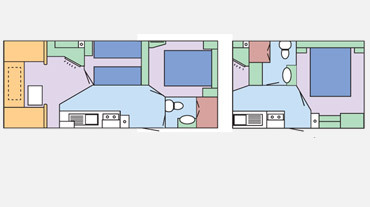 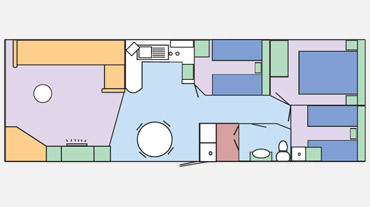 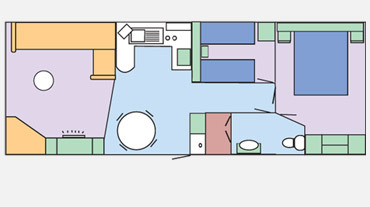 Model shown 32’ x 12’ 2 bedroom.